Erik F. Storlie is the author of two outstanding books about Zen and his fifty years of practicing and teaching meditation. 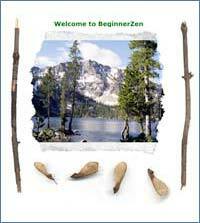 Some suggested links to BeginnerZen content online. Meditation classes are offered through the University of Minnesota Center for Spirituality and Healing. 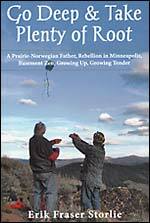 A death in 1900 on the Dakota prairies sets in motion this memoir of a distant father and his son, a story of growing up and growing old that winds through the sedate Midwestern fifties, explodes in the cultural turbulence of the sixties, and finds meaning in a fusion of family, writing, teaching, and the eastern contemplative arts. In a culture that places so much emphasis on “doing,” how on earth did an ancient practice of simply “being” ever take hold and flourish? That’s the vibrant heart of Erik Storlie’s life, an engaging story of mindfulness, counterculture, and family which will move you and your audience as we approach the holiday season. 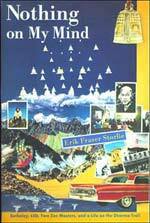 Erik Storlie’s first memoir, Nothing on My Mind: Berkeley, LSD, Two Zen Masters (Shambhala 1996), describes the upsurge of interest in psychedelics and Zen in San Francisco, his struggle to integrate the psychedelic experience with meditation, and his study and practice with Shunryu Suzuki and Dainin Katagiri Roshis. He completed a PhD in American Studies and taught for thirty-five years at an inner-city college in Minneapolis. He now teaches meditation and mindfulness and leads retreats for the Center for Spirituality and Healing at the University of Minnesota. Writings and reflections worthy of your time. Committed to helping people learn meditation and apply it to their lives.